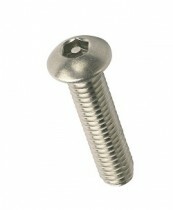 Manufactured with an internal pin within the standard socket screw aperture. This prevents removal with standard hexagon keys. This fastener is suited to medium torque applications and are one of the most difficult screws to remove without the matching driver bit.